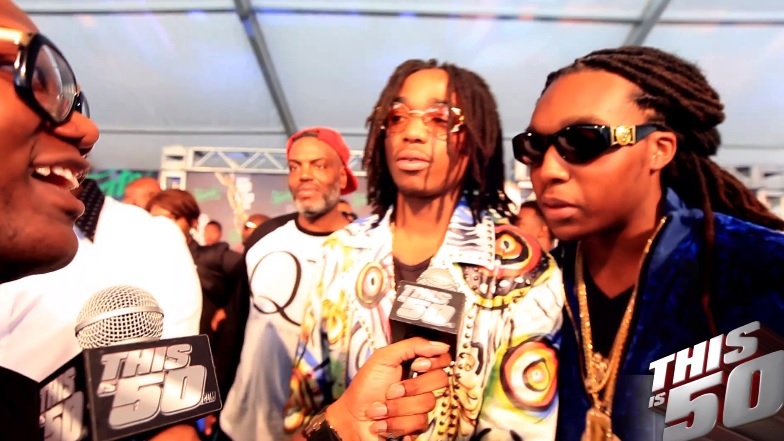 ThisIs50’s Jack Thriller speaks with Atlanta’s rising group, Migos, for an exclusive interview on the green carpet for BET’s 2013 Hip Hop Awards. Fresh off the success of their club smash “Versace” featuring Drake, Migos shares some insight with viewers on how exactly they were able to acquire Drizzy’s services for their single by way of a mutual friend. This entry was posted in Interview, Video and tagged Drake, hip hop, Interview, migos, rap, this is 50, versace. Bookmark the permalink.